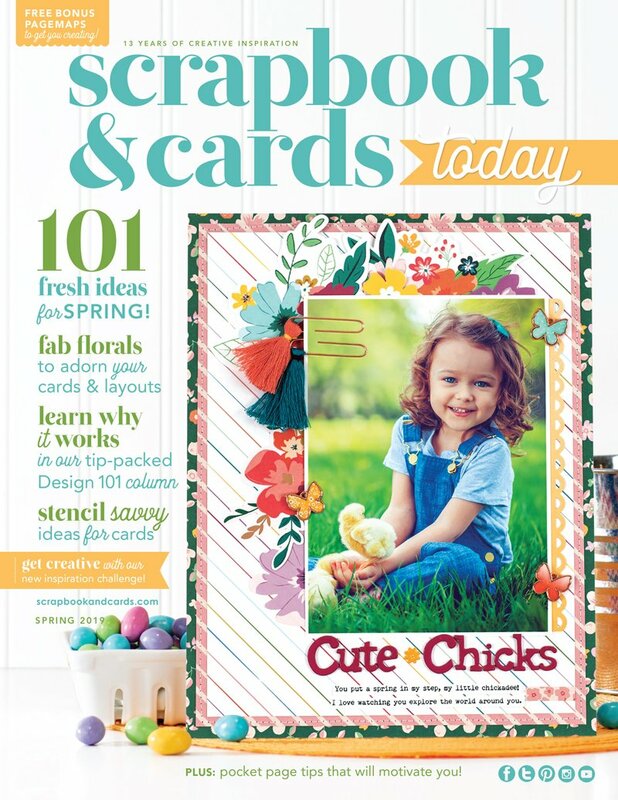 Have you had the chance to curl up with the Fall 2018 issue of Scrapbook & Cards Today? It’s always so exciting to think that all over the world YOU are reading and enjoying it! And we have SO MUCH FUN putting it together for you. FIVE THINGS I LOVE ABOUT THE FALL 2018 ISSUE! Our design team dug deep and told fantastic stories about their families! 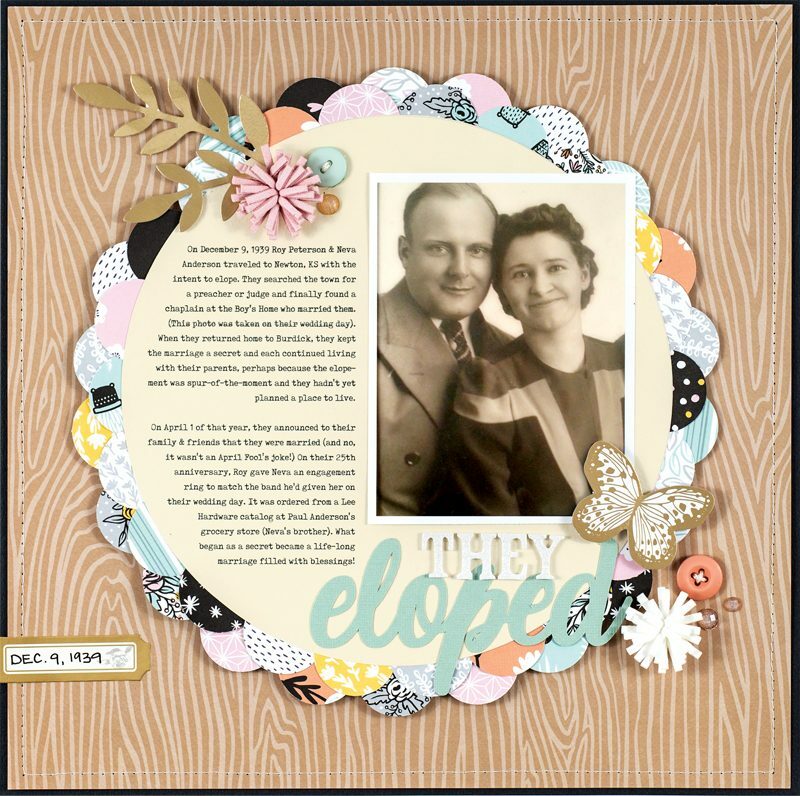 While I love ALL of the stories they came up with, I was particularly struck with the fascinating story of Lisa Dickinson’s grandparents’ elopement that she shared in this layout. 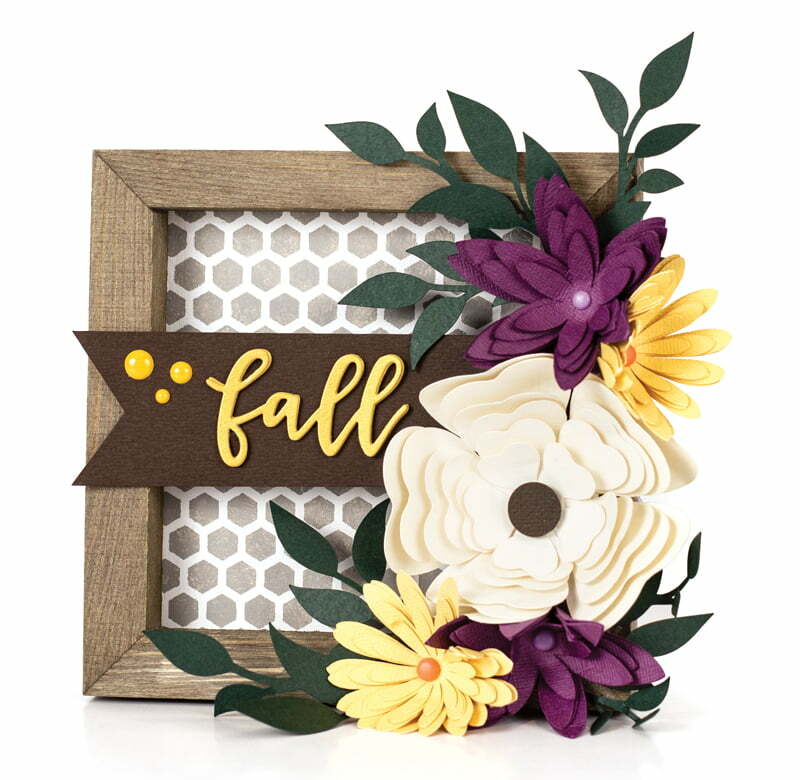 Jen Gallacher shared some awesome ways to uses stencils in our Product Play column, and this gorgeous fall frame makes my heart skip more than one beat! 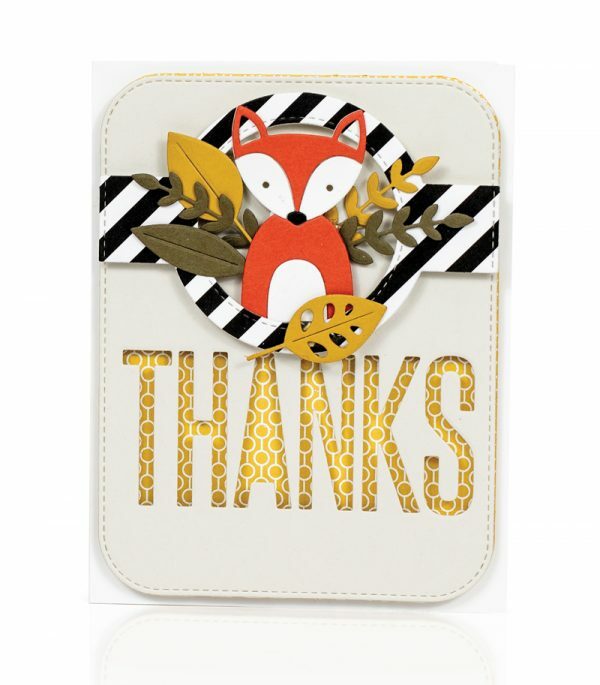 This card by Keisha Campbell is part of our manual die cut feature in Creative Cards. Keisha is SO good with colours and layering! Makes me swoon. 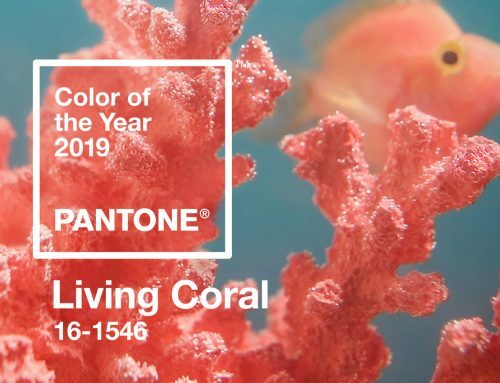 Good design makes all the difference when something just doesn’t feel “right” in your designs, so I truly enjoy our ability to teach design skills to make it right. 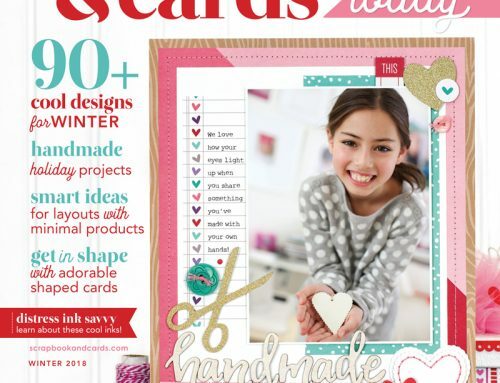 Jen Schow’s pretty layout teaches an essential design skill called the psychic line. Check out the article for more. 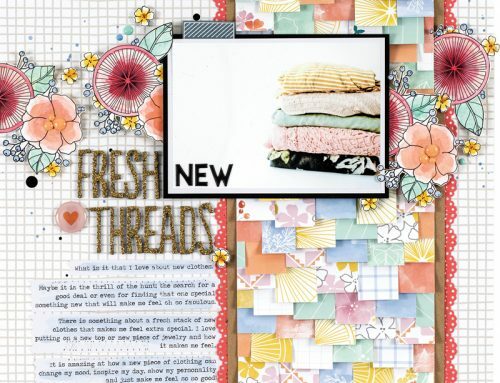 As a former teacher of teens, I love seeing layouts about them. And did you see how Monique Liedtke stitched the letters in her title? WOW! 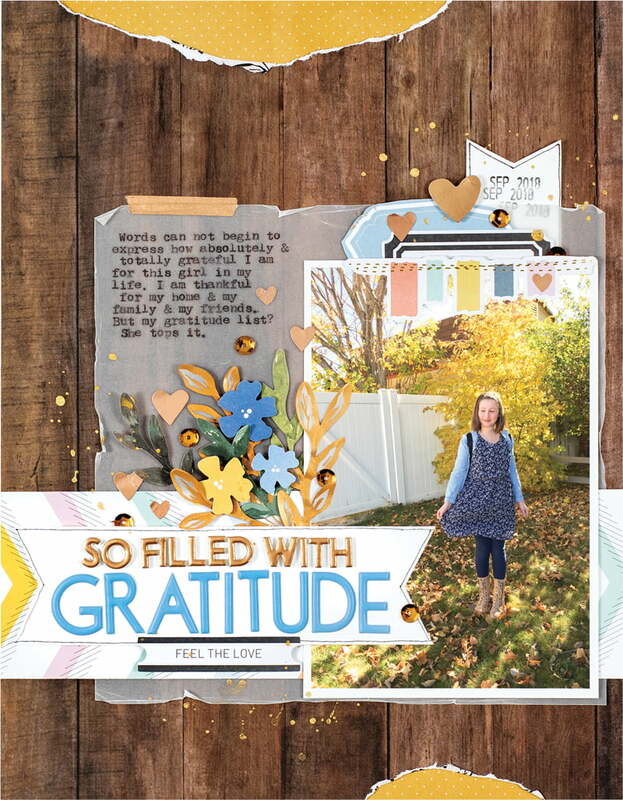 You can see Monique’s layout and lots of other fantastic fall-inspired projects in the inspiration gallery. What were your favourite parts of the issue? We’d love to hear! Hope your autumn is filled with many blessings! Very nice projects. Loving the layouts! Beautiful. Fall is my favorite. 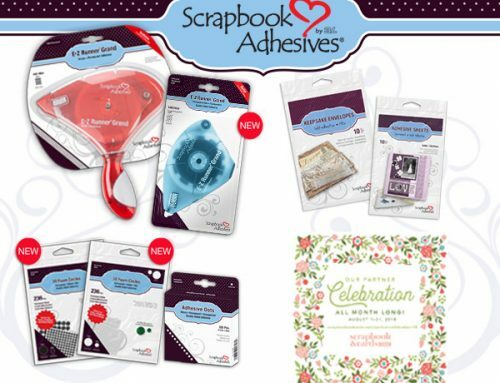 Lucky me received the magazine from an on line order from Two Scrapbook Friends, in Ontario. I can’t wait to actually sit down and devour all the info and inspiration inside. Thanks for creating another wonderful Canadian magazine.